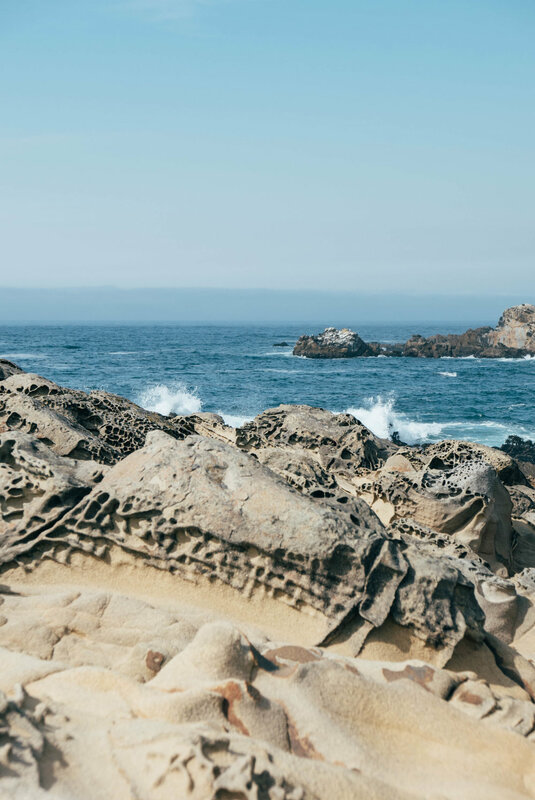 Located on the ruggedly majestic coast of California's Sonoma County, Salt Point State Park encompasses 6,000 acres of state-protected grassland, forest and otherworldly shoreline sandstone formations. We visited the park during our stay at nearby Timber Cove Resort and spent an afternoon exploring the cliffside Salt Point Trail, where the unmistakable barks of lounging sea lions were carried by the rolling fog as they shimmied their bellies across rocky outcrops at the water's edge below. 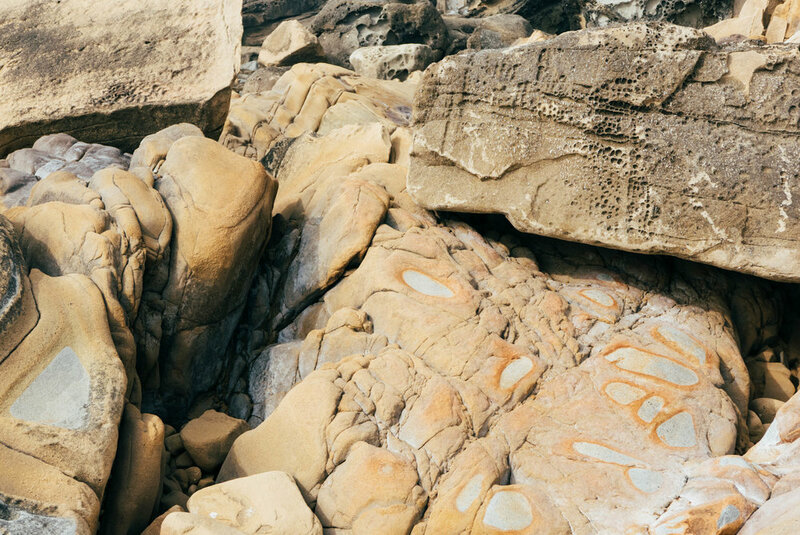 It is here that you'll find the park's most striking feature: tafoni. 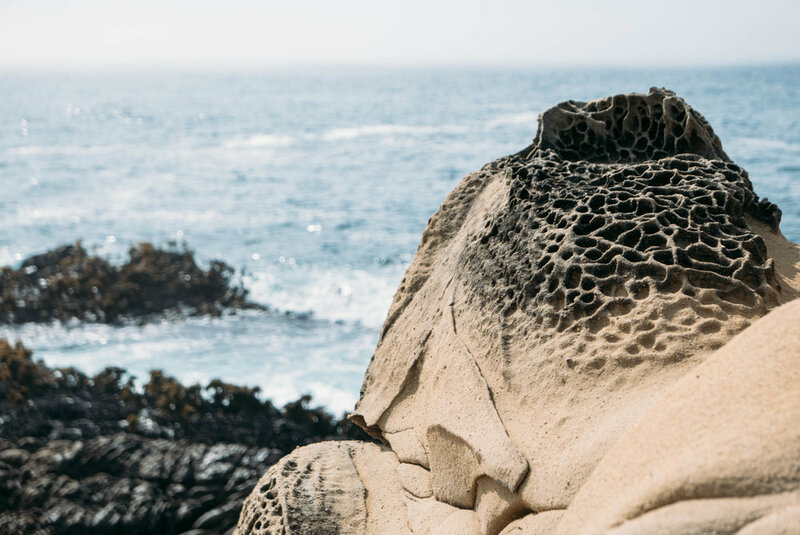 An Italian word meaning "cavern," tafoni refers to the natural erosion phenomenon that is common in intertidal area sandstone. The wetting and drying of the stone results in a unique honeycomb-type corrosion that riddles the stone's surface with cave-like pits and ridges. Combined with a thundering surf and misty sky, a walk among these dramatic formations feels akin to stepping foot on an eerie foreign planet. If you go, plan to spend a half day in the park at the very least. I recommend picking up a deli sandwich at the Fort Ross General Store on your way in and enjoying a picnic lunch at Stump Beach Cove once you've reached the end of Salt Point Trail. From there, you can loop back, continue north up the coast or venture inland to the park's wooded paths. With 20 miles of hiking trails to choose from, this is just a snippet of Salt Point's natural wonders.